We are offering Industrial Training ( All branches) for Diploma/ Polytechnic students. In these Industrial Training candicates will able to gain in depth knowledge of latest technologies in engineering. All the courses are Industry oriented according to needs of industries. The training and development sector will be shaped in the coming year a head opting some current trends and methodologies to make aspiring engineers and technologists for better professionals. This would play a vital role in their careers and tapping into opportunities for companies. We are in to leading stage of Android Application and Web Development company with a sheerfocus and commitment to produce the highest quality mobile application and websites, while using cutting edge technologies, we are developing customized application for a range of business sectors. 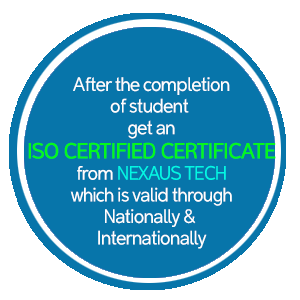 At NEXAUS TECH, we are passionately concerned about the placements of our trainees, training programmes are designed in such a manner to make our trainees more workable. We provide every possible assistance to students to get a better job in their respective fields. 6 weeks, 2 months and six months training facility for Diploma/ Polytechnic. Get an ISO certified certificate which is Nationally & Internationally valid. Training will be under the guidance of experienced team. Industrial visit and hand-on-exposure training for all semisters. (Diploma/BE/B.Tech/M.Tech) Scholars. Working on live projects & Get an exposure of Industry. Exclusive focus on Electrical, Electronics, Civil, Computer, Mechanical, Automobile, Mining Engineering. Career guidance & placement assistance in MNC’s and Indutries.